A few days ago, the length of my experience and knowledge of Morocco amounted to the dates I buy at Tesco. Yes, yes, yes I had watched Casablanca, I knew the name of a few cities and could place them on a map, but none of that really counts. Sitting on a terrace, looking out over the white brick-and-clay buildings of the Tangier Medina, with the wood-fired smoke from neighboring houses filling my nostrils, it all felt a lot more real. On top of the almost randomly scattered houses there are countless TV paraboles and antennas reinforcing my impression that this feels a bit like a poor imagination of East Germany; the old garbage cars, the teared and unfinished houses, the dirty alleys and intrusive plethora of smells: cat piss, old stables, hashish, the occassional unknown spice, of dirt and rain washing it all away. 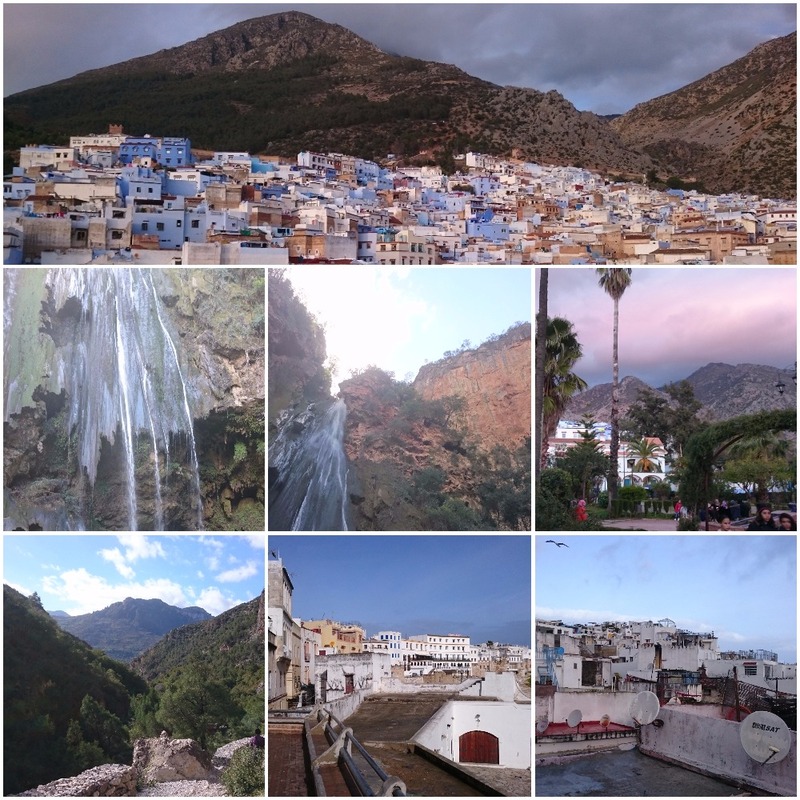 Add the wonderful views of the Riff mountains and the blue city of Chaouen, the stunning food (more harira, please! ), sunshine, blue skies and stars, the gorgeous mosques and their soothing calls to prayer, the many clothes hanging out to dry – despite the violent morning rain – and interesting people, that pretty much sums up my first and much-too-short Moroccan experience. After a good performance in 2015, the Moroccan economy is decelerating in 2016. Economic activity slowed to 1.4% in the second quarter as a result of a 12.1% contraction in agricultural production, while growth outside the agriculture sector remained sluggish at around 2.5%. Inflation has remained muted at under 2%, reflecting prudent monetary policy and the fall in international commodity prices. At around 47% in the second quarter of 2016, the employment rate is low and dropping, and the type of new jobs being created are generally informal and precarious. The informality of work was one of the most striking thing my econ-obsessed mind noticed; everywhere we went, we saw healthy prime-age men sitting around, smoking, watching people, charging for the use of public bathrooms, walking donkeys or doing similarly low-productive work, or trying to sell hashish to tourists. The touristy districts of Tangier presented an even more confusing view: alleys of shops selling everything from necklaces to robes and Messi t-shirts, but never did I see anybody buy anything but dirt-cheap (and yummy!) sweet bread. Nevertheless, the kids sitting around outside cafés or scattered through the alleys all played games on their iPhones or Smartphones. Probably, touristy districts probably aren't very representative for the country at large (even though tourism provides an important boost to their economy) and we did visit out of season. That's when it hit me: this was the first time I've felt an honest curiosity about development economics. Most of the field's entire focus is misguided, studying poverty rather than wealth, when poverty is the default mode of human civilization. I guess there is a lot more to the field once you start digging; the three stories I can easily recall pretty much summarise my very limited knowledge in the field: de Soto's Mystery of Capital (Intro video here), the institutional story of culture, that social trust and culture matter for economic outcomes, and Easterly's condemning views on foreign aid and top-down development directives. Hands down, Morocco is a very interesting place that I'd love to learn more about: the food, the views, the country, the mixture of languages and its economy. I hope that one day I will.